So, you’re thinking about scheduling your next haircut appointment. What next? Nervous about going for a big change? 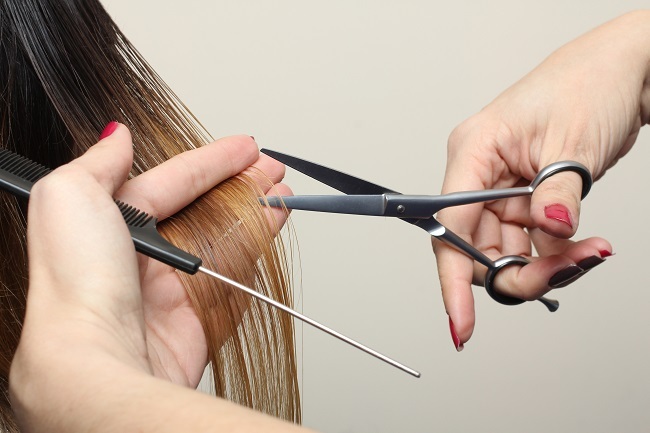 Here are some tips to make sure you’re getting the most of your time in the salon! How much time do you spend on your hair in the morning? Do you flat iron your hair every day or are you more of a wash and go kind of person? Some haircuts require more styling than others. Choosing a cut that fits your lifestyle is important. If you’re not sure how long something will take to style, ask your stylist. Take a few moments to search through Pinterest for some quick style inspo. Bring the pictures with you, discuss with your stylist what you like and dislike about them. Showing your stylist pictures during the consultation portion of your appointment is a great way to make sure they understand exactly what you’re looking for. Have You Been Having Hair Troubles? Think about the problems you’ve been having with your hair. Will it just not curl? Is it really dry? Let your stylist know! They will be excited to give you a quick style lesson, tips on how to achieve more volume and recommend products that will benefit you and your hair. They work with all kinds of hair every day, so they know what will work best! If you decide against getting those bangs during your appointment or want to take some more length off of your layers, say something! Your stylist wants you to be happy. They will work with you to make sure everything is perfect. You do deserve the best after all! Ask your stylist when you should be back for a trim. Regular maintenance is important to maintain your style and to keep your locks healthy! Booking appointments in advance ensures you will have the day and time you want. You’ll also get a reminder when it gets close! Contact Shelley’s Day Spa & Salon here to set up your next haircut appointment. Relax, you’re in great hands!